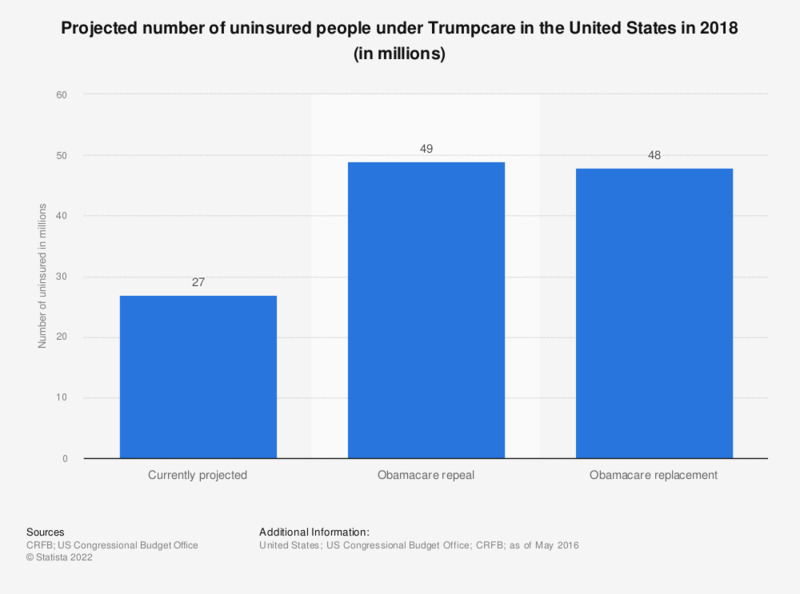 This statistic displays the projected number of uninsured people in the U.S. in 2018, if Trump's health care plan (already called "Trumpcare") to "repeal and replace" Obama's Affordable Care Act health reform would take place, according to an estimation from May 2016. As of mid-2016, the number of uninsured people was about 27 million, whereas if Obamacare would be repealed the figure would rise to 49 million. After complete replacement this figure would go down to 48 million, with only some 1.1 million newly covered people.